Ontario Shoplifting Charges - Aitken Robertson Lawyers Can Help! In our Criminal Code, the crime of Shoplifting falls under the offence of Theft under $5000. In the scheme of things, it is not usually considered one of the more serious offences. However, in some circumstances, shoplifting charges can lead to serious consequences, including jail. Even short of jail, the consequences of being arrested for shoplifting can be serious and long-lasting. For example, if you are convicted of any criminal offence, including Theft under $5000, you will get a criminal record that will probably dog you for life. Also many retailers or sellers send demand letters threatening a civil court action unless you pay a “restitution” of several hundred dollars. Pay them nothing ! People shoplift for a lot of reasons. Sometimes it is because of genuine need; sometimes the behavior is stress-related; often there is a mental health component; and sometimes there are addiction issues. If there are such factors and if the theft is a first offence, sometimes the accused can avoid conviction (and a criminal record) by participating in a diversion program. Upon the completion of a diversion program, the charges are withdrawn. If you are eligible for a diversion program your charges may be withdrawn if you accept responsibility for your act and then do something according to the requirements of the program. Diversion programs vary from jurisdiction to jurisdiction and what the accused person has to do in the program varies according to the nature of the offence and the circumstances of that person. 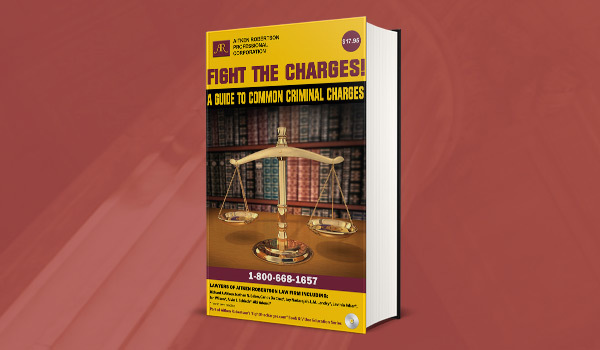 Some examples of the ways charges may be diverted are by the accused doing volunteer work, making a charitable donation, attending a program, or writing a letter of apology. There are also mental health diversion programs available in some circumstances. In those cases getting treatment or counseling is the diversion. If you have been charged with shoplifting, it is worth consulting with a lawyer. We can help by assessing your situation and advising you of options. We may be able to negotiate a diversion for you, but even if you are not eligible for diversion, for example, if it is not your first offence, we may be able to secure for you a better outcome than you would get otherwise. We can work with you towards a good plea bargain, or if your situation warrants it, we can defend you at trial. Plea Bargain: Robbery; Wearing a Disguise with Intent; & Possession of a Weapon for a dangerous purpose (2 out of 3 withdrawn). Agreeing to a Peace Bond often seems like a reasonable resolution to avoid a criminal conviction and conclude the matter quickly. The Crown may agree to the Peace Bond, but usually require our clients to take the Partner Assault Response (PARs) Program first. Mr. P. had lived a period of time approaching a century without acquiring a criminal record; he should not get one now! If convicted of the assault charge, he not only would have a criminal record, but the resulting sentence would almost certainly contain “no contact” terms with regards to Ms. M. But Mr. P. and Ms. M. had a relationship and they both lived in the same retirement home. The goal was to avoid conviction, allow the couple to have contact with each other and remain in the retirement home, while at the same time allowing Ms. M. to feel safe. Mr. R. had a good job with a big company. A criminal record would affect his career and ability to travel to the US. The goal was to avoid a criminal record. Thus, we entered into negotiations with the crown to see whether direct accountability may be an applicable outcome for possessing a quantity of marijuana.